UNPRECEDENTED GROWTH IN ALBERTA HAS CREATED A VIBRANT ECONOMY, BUT IT HAS ALSO PLACED A TREMENDOUS STRAIN ON THE FOREST, GRASSLAND AND RIVERS WHICH HELP TO SUSTAIN THAT GROWTH. 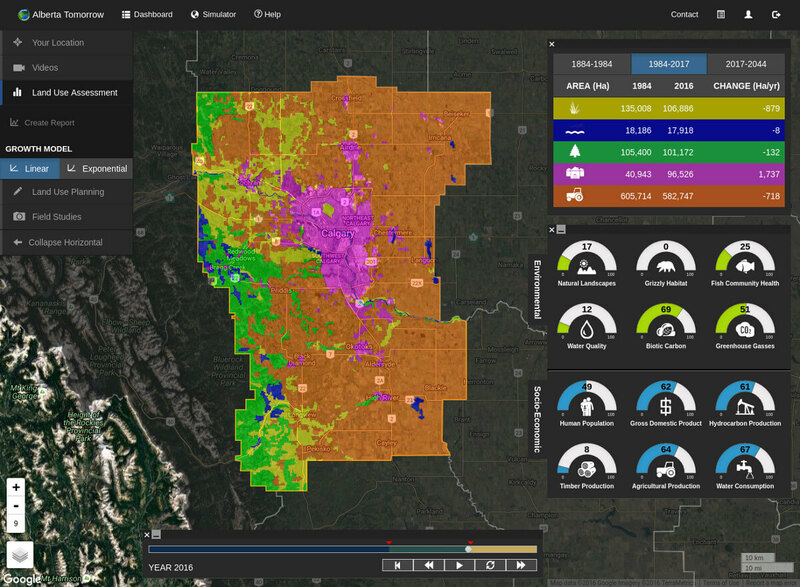 The Alberta Tomorrow simulator is an educational tool that helps you to understand the process of sustainable planning to balance land-uses such as agriculture, oil and gas and forestry with ecological integrity. By looking at past and present landscape imagery, you will be able to see changes that have taken place in the past. You can also collect, geotag and save water sampling data, images, video and other observations. Now set some goals and design a future for Alberta that you want to see! 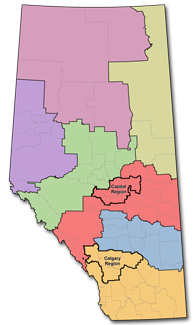 Draw your own plan for Alberta and see the potential outcomes! Alberta Tomorrow is a FREE educational tool that has been developed to for use with k-12 and university and college curricula. There are curriculum links to many other grades and subjects. New lesson plans and materials are continually under development. What does Alberta look like in your community? Here is your chance to showcase what’s going on in your local area! Create a “State of the Landscape” video report and upload it here for all Albertans to see! Description of your local area: landscape type, land-uses present. Land Use Assessment. The impact of land-use on the environment. Different scenarios for future land-use plans. Please contact Jennifer Janzen at: info@albertatomorrow.ca to submit your video to Alberta Tomorrow. Alberta Tomorrow was originally created in 2005 by Matthew Carlson and Dr. Brad Stelfox of the ALCES group. Since then, Alberta Tomorrow has been used extensively by teachers and students throughout Alberta. The Alberta Tomorrow program is overseen by the Alberta Tomorrow Foundation. The Alberta Tomorrow Foundation is a registered charity in Canada. Alberta Tomorrow's board of directors is served by representatives from education, non-profit, government and industry sectors.